West Bank - A businessman from Gaza with an entry permit to Israel and Judea and Samaria told the IDF under questioning on Wednesday that he had transferred USD 50,000 in cash from Hamas officials in Gaza to those in Hebron, the Coordinator of Government Activities in the Territories (COGAT) revealed on Thursday evening. 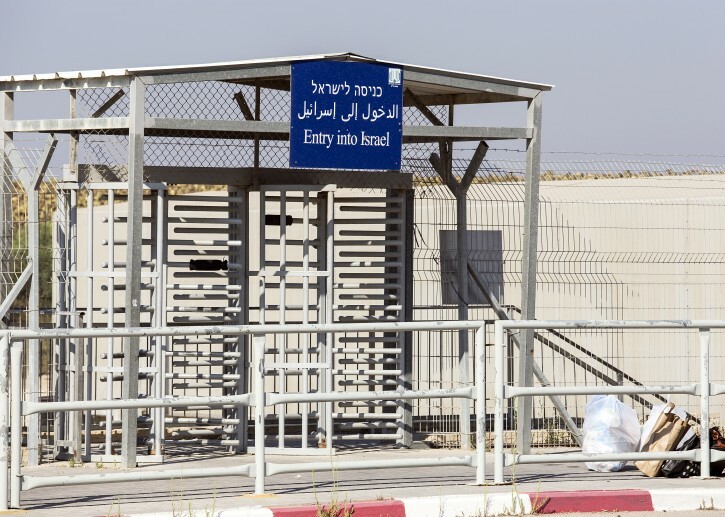 According to Hamas’s own media reports, the businessman in question, Bashir Muhammad Yunus Mustafa, was apprehended at the Erez Crossing between Israel and Gaza by the Israeli Crossing Authority and the Shin Bet (Israel Security Agency). Mustafa, a resident of the Hamas-controlled Gaza Strip, held a permanent permit issued by COGAT that allowed him to cross over freely from Gaza into Israel and to enter Judea and Samaria. According to COGAT, such permits are issued by the Israeli government for humanitarian reasons and in order to facilitate free trade between Gaza and the Palestinian territories. According to COGAT Spokesperson, Hadar Horn, Mustafa was released after his questioning. “He has a heart condition,” was Horn’s explanation for the immediate release. An Israeli security official revealed to Tazpit Press Service (TPS) that the Hamas terror organization has its own so-called “crossings unit.”. According to our source, one of the purposes of this unit is to identify Gazan residents who have entry permits into Israel or crossing permits into Judea and Samaria for either humanitarian or business reasons and to then approach these individuals and recruit them to serve as “mules” for their money-smuggling operations. “It is very likely that this businessman is a decent and innocent man, but it’s a bit hard to say no to Hamas,” the security source told TPS. Hamas is outlawed as an illegal terror organization in Israel, the United States, and the European Union. The organization contains a political and military faction that are the de facto sovereign in the Gaza strip. Israel’s security and intelligence bodies over the past few months have apprehended several individuals who had legal entry permits to Israel and who used them to transfer large sums of money to Hamas operatives outside of Gaza.